Gives you the freedom to capture your videos at any size or full screen. Record a single app window. set Max frame rate and custom the desktop background. Hide your Desktop wallpaper and icons during capture. Add Capture Camera video above screen video. 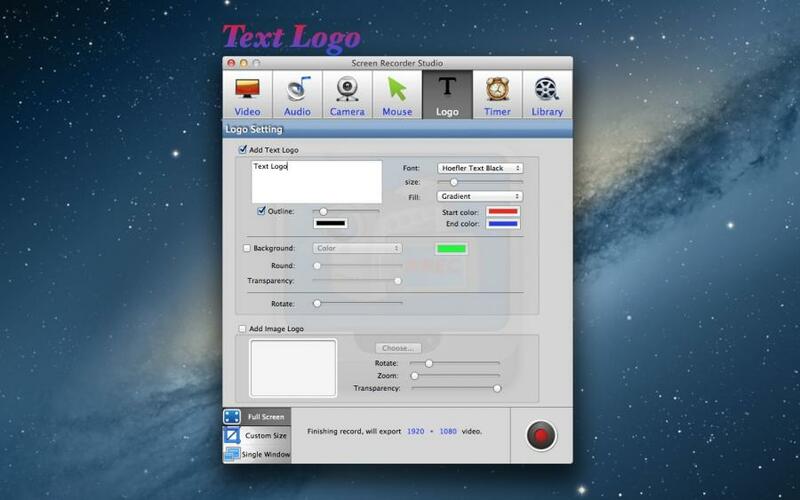 Add Text on your recorded video. 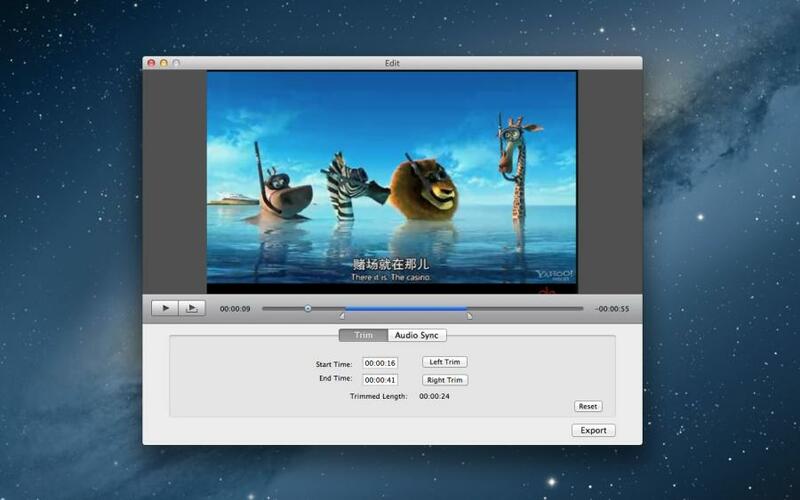 Screen Recorder Studio is a professional screen record software, what you see is what you get. The app can record computer audio and you can record online video. 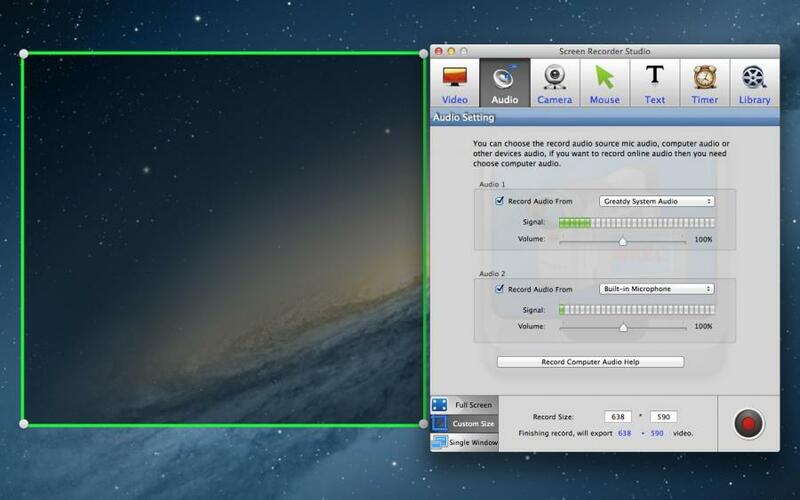 It is easy to record your screen, which capture computer audio, record audio from built-in such as Mic . 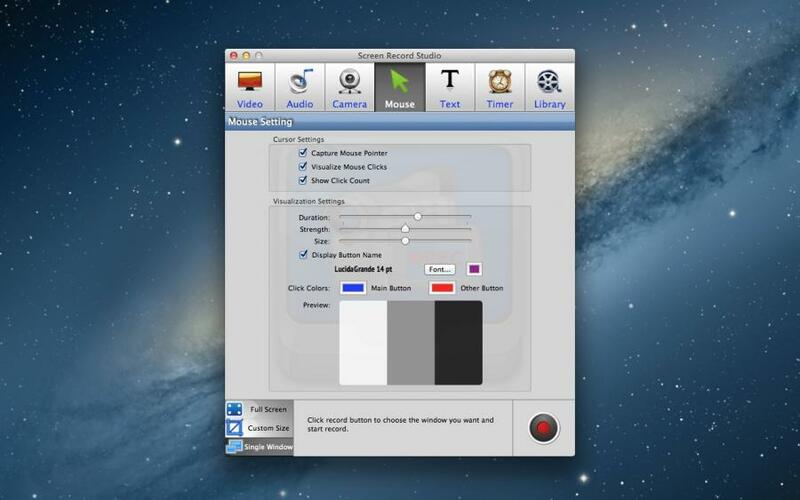 Screen Recorder Studio can record single window, custom area or entire screen. You can demo your software or record online video . Screen Recorder Studio supply great text logo and image logo. You can make beautiful logo. You can add camera on screen and add the mouse click animation. Screen Recorder Studio can custom desktop background and hide desktop icons when you are recording . * Record the audio with computer audio ,online audio ,system build-in microphone or audio input device. * Mix computer audio and mic audio,. Screen Recorder Studio is very useful to Demo your Software ,it support record computer audio and built-in audio(Mic…).